The Ultimate DJ System - All you need to DJ at Weddings, Reunions, Partys, or even School Dances. 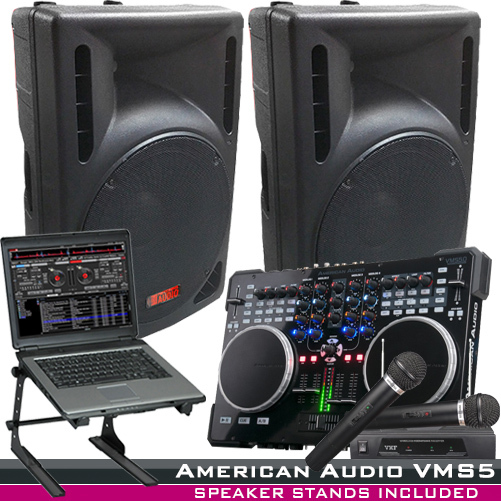 This package includes Virtual DJ Software, the American DJ VMS5 Digital MIDI Work Station, a pair of 15" Powered Speakers, two Wireless mics, Laptop Stand, Speaker Stands and all the canles you need to start playing gigs. Add your own laptop to complete this system. Add your own laptop to complete this system. 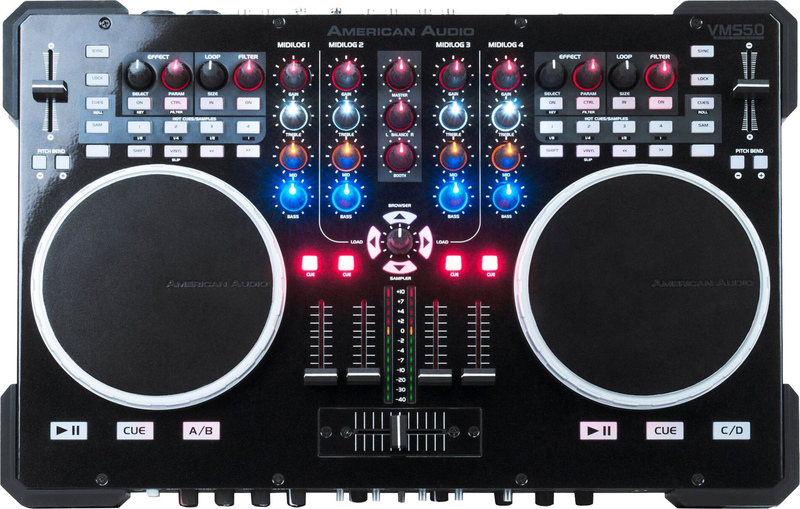 Order today and get a DJ controller, software, powered speakers, headphones, stands and cables for one low price.ones, stands and cables for one low price.